Here’s is yet another Maruti Suzuki Vitara Brezza sub-4 meter compact SUV that wants to be the much more upmarket Jeep Compass. And the modified Brezza pulls off the Compass look pretty well. 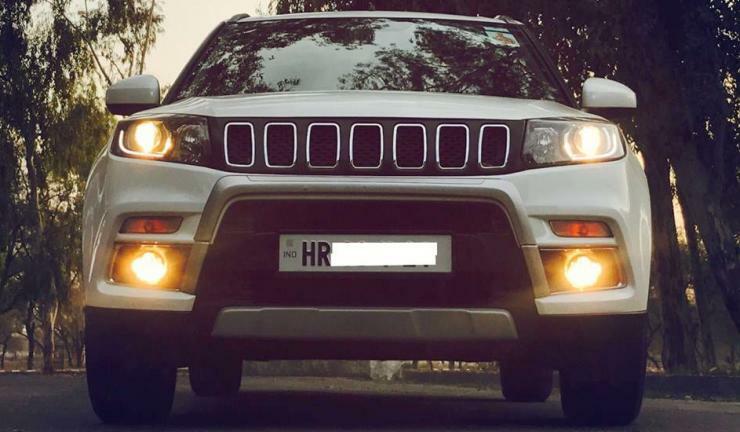 The main change to the Brezza is the Compass-like 7 slat grille, which is standard on all SUVs from the Jeep brand. In fact, the 7 slat grille is a signature design highlight of all Jeep SUVs sold across the world – something that instantly comes off as a Jeep ‘design trait’. The other change to the Brezza is a faux skid plate and bumper inserts, both parts sold through Maruti’s iCreate customization program. Apart from these changes, this modified Vitara Brezza is more or less a stock car in terms of mechanicals. It’s powered by a 1.3 liter Fiat Multijet turbodiesel engine with 89 Bhp of peak power and 200 Nm of peak torque. A 5 speed manual gearbox is standard. 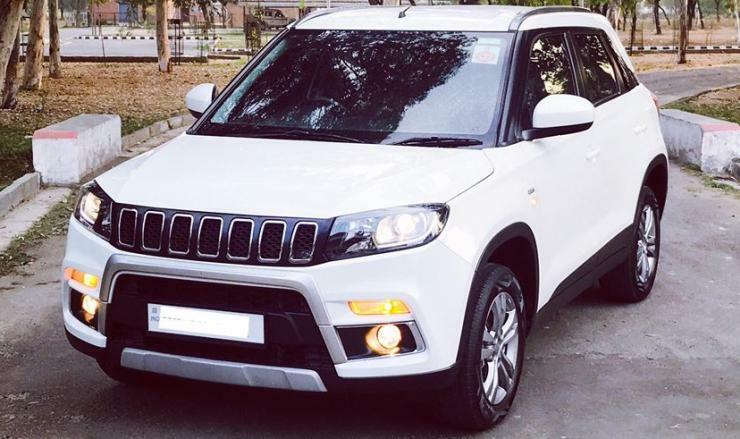 In contrast, the Jeep Compass is a much more powerful SUV, with 1.4 liter turbopetrol (160 Bhp-250 Nm) and 2 liter turbodiesel (170 Bhp-350 Nm) engine options. The Vitara Brezza and the Compass are two very different SUVs, priced at different levels (Rs. 7.2 lakhs for the Brezza vs Rs. 15.2 lakhs for the Compass). In short, they can’t really be compared. Meanwhile, there’s talk of Maruti adding a petrol engine option to the Vitara Brezza, which so far has been a diesel-only model. The petrol engine in question could be the 1 liter-3 cylinder BoosterJet turbopetrol unit borrowed from the Baleno RS. This engine makes about 101 Bhp-150 Nm, and gets a 5 speed manual gearbox as standard. For now, Maruti has been selling over 10,000 units of the Vitara Brezza each month, and the addition of the petrol engine could boost sales further. The Brezza starts from Rs. 7.28 lakhs for the base-diesel LDi variant, going up to Rs. 9.73 lakhs for the top-end ZDi+ variant.